The preemptive reviews for "A Dog's Purpose" are in, and boy, are they scathing. 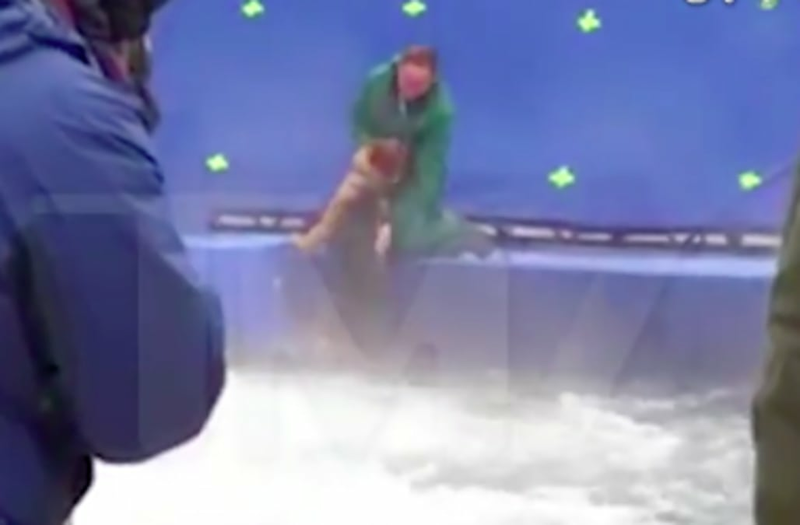 After a shocking video of alleged animal abuse taking place on the film's set surfaced on Wednesday, dog lovers and animal rights activists alike took to the internet to bash the movie's rating into oblivion. A visit to the movie's IMDB page reveals that a full eight days before the film's January 27 national release date, "A Dog's Purpose" has already landed a one star rating, which is the lowest score a movie can possibly receive on the reviewing site. Judging by the comments, the rating has nothing to do with the actual content of the movie. "Regardless of the story, acting, music, etc. This movie will forever be tarnished by the fact that they terrified a poor dog and almost killed it for the sake of one stupid scene," wrote one user. "Any dog lover will boycott this movie and make sure it flops badly. Nothing can redeem it in my eyes. 1/10." "Everyone who worked on this film and knew about this should feel ashamed of themselves," commented another. "Kinda ironic to make a movie based on the loving relationship between man and dog but in reality, you couldn't care less, huh?" "Animals are not props. They are not things. They are sentient beings and need to be treated as such, their emotional and physical well-being should be a priority on set," said a third. Comments echoing the same, blistering sentiment go on for pages and pages -- at the time of writing, there were already 1,577 one star reviews. Following public outcry about the video, director Lasse Hallstrom released a statement Wednesday, saying, "I am very disturbed by the video released today from the set of my film 'A Dog's Purpose.' I did not witness these actions, which are unacceptable and would never happen with my knowledge. We were all committed to providing a loving, respectful and safe environment for all the animals in the film. I have been promised that a thorough investigation into this situation is underway and that any wrongdoing will be reported and punished."